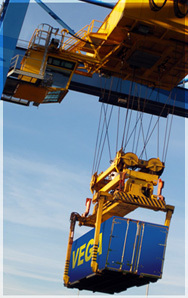 SRS : Shreyas Relay Systems is the multi-modal transport and liner service, wholly owned subsidiary of Shreyas Shipping and Logistics Limited., India’s first and leading container feeder operator. Working in tandem, SSL and SRSL provide seamless, customised multi-modal transportation solutions to domestic and international clients, covering India, using sea-air-road-rail modes. The company operates scheduled services with Indian flag vessels and operates a large fleet of regular ISO dry containers, reefers and tank containers of varied types and sizes. BSL: Balaji Shipping Lines, a member of Transworld Group with its own offices all across India, manages and operates a fleet of regular ISO dry containers of Balaji Shipping Lines and their specialised equipment like Reefers, Open Tops and Flat Racks.